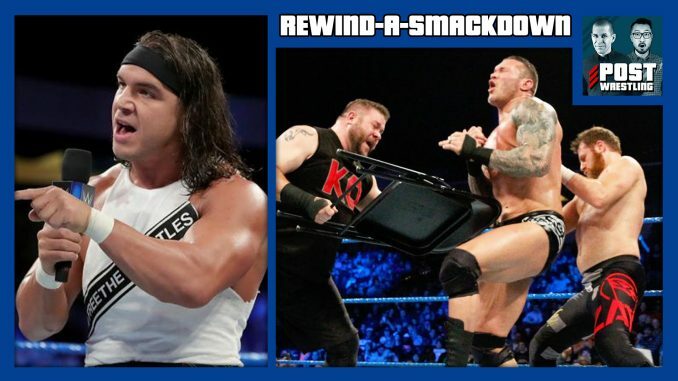 Kevin Owens & Sami Zayn are placed in a 3-on-2 Handicap Match against AJ Styles, Shinsuke Nakamura and Randy Orton; Chad Gable & Shelton Benjamin demand their tag titles following last week’s controversial loss; Mojo Rawley faces off against Zack Ryder in the US title tournament. Wai discusses the latest episodes of Total Divas Season 7. John reviews the Brian Pillman biography, Crazy Like a Fox: The Definitive Chronicle of Brian Pillman 20 Years Later by Liam O’Rourke.